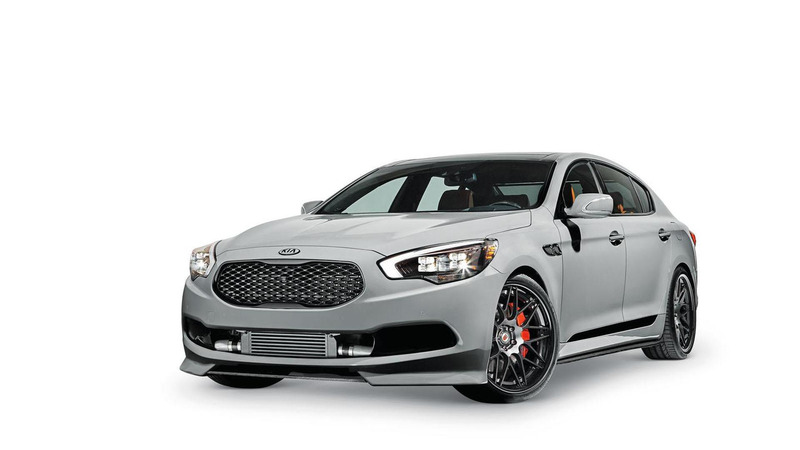 Kia has announced plans to introduce the K900 High-Performance concept at SEMA. Dressed in custom gray paint, the one-off model features a bespoke body kit with a new front bumper, a front lip spoiler and revised side skirts. The car also has blacked-out chrome trim and 21-inch alloy wheels with a gloss black finish. The standard K900 has a 5.0-liter V8 engine that develops 420 bhp (313 kW) and 376 lb-ft (509 Nm) of torque but image suggests the High-Performance concept could be equipped with a turbocharger and intercooler.